Attack your event promotion head on when you send out individual Volleyball Sun Rays Invitations to everyone on your guest list. 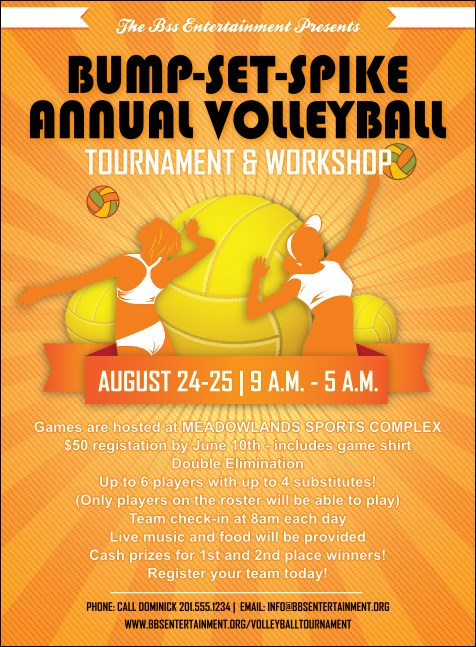 These bright and shining Invitations feature a unique orange background design along with room for sixteen lines of text, and each one includes two volleyball players ready to jump serve the ball for an ace. Keep it fun in the sun with TicketPrinting.com.